Is a house that can be controlled automatically through our smart systems containing sophisticated control devices are installed in the house and is controlled by the installed touch screens on the wall or iPod or by your smartphone where you can control and monitoring of all electrical and electronic appliances such as lighting and adaptations, theater smartphone and curtains and television cameras, electric doors, and that tells you about our systems any change occurs in the home or contact you by any method or SMS text messages you can use them as favours adding surveillance cameras and sensors for sensing movement of the security system and protection. You can adjust our systems to coordinate lighting, curtains and air conditioning, security systems and motion detector to work both at one time or work specified GMT according to a certain time or work under certain conditions to get better comfort and safety with energy-saving schedule. 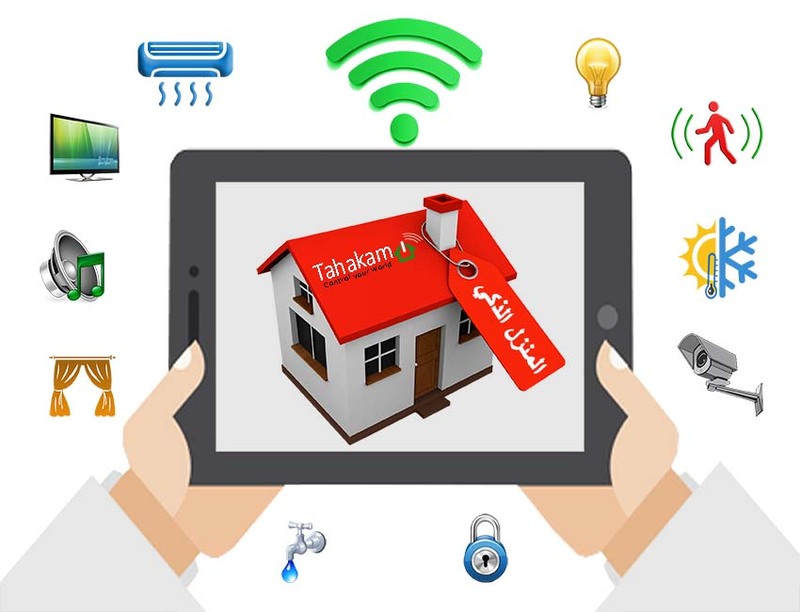 Tahakam provide you with everything works natural and innovative way with smart home, you can be creative that the scenarios as you wish Hence determine your imagination starts to innovation such as: opening and closing lighting the outside wall of the house and the blinds depending on the sunrise and sunset, you cannot enjoy these advantages with electrical designs regular. Smart Home is a creative home as per your imagination! !